Is my skin dry or is it dehydrated? That’s the dilemma, isn’t it? 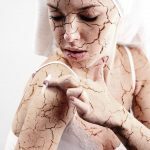 In everyday life, the term “dry skin” is often used interchangeably with “dehydrated skin.” While both may have similar symptoms, they are two different conditions altogether. Confused? Okay, let’s clear your doubts. 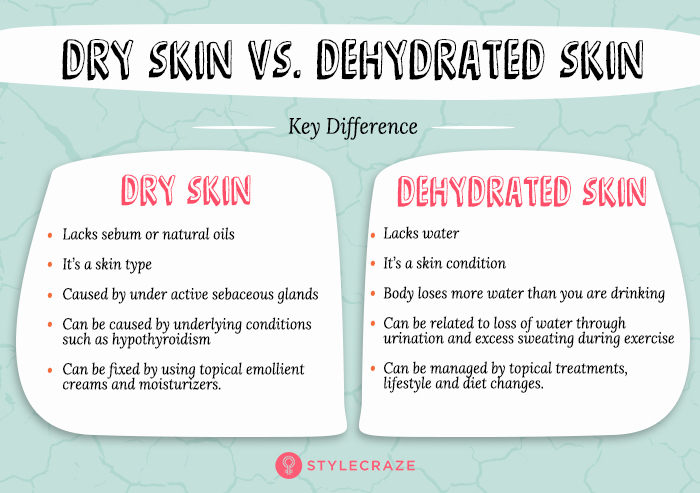 Read on to find out what dehydrated skin is and how it is different from dry skin. Get customized solutions for all your skin care problems. Click on this link to take skin analysis for clear and glowing skin. Simply put, dehydrated skin is skin that lacks moisture and is not well hydrated. 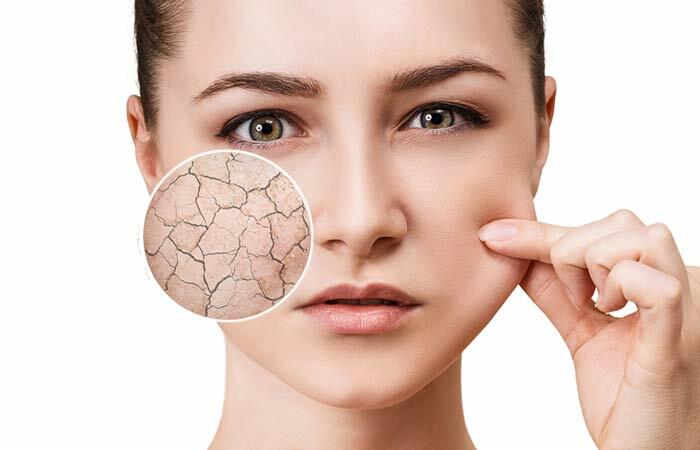 It’s a myth that only dry skin is dehydrated – because all skin types can be dehydrated, including extremely oily skin. 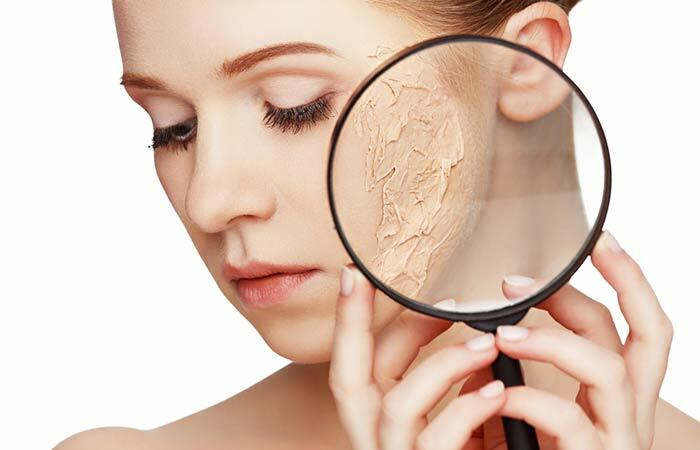 Each of us has a different skin type – oily, normal, combination, or dry. All of us have one skin type, but it keeps changing with age, environmental conditions, and the weather. Irrespective of your skin type, your skin cells can be desperate for water. That’s when they get dehydrated. Unlike dehydrated skin, dry skin is primarily caused by underactive sebaceous glands. In other words, when your sebaceous glands don’t produce enough natural oils to maintain the moisture balance of your skin, it turns dry. 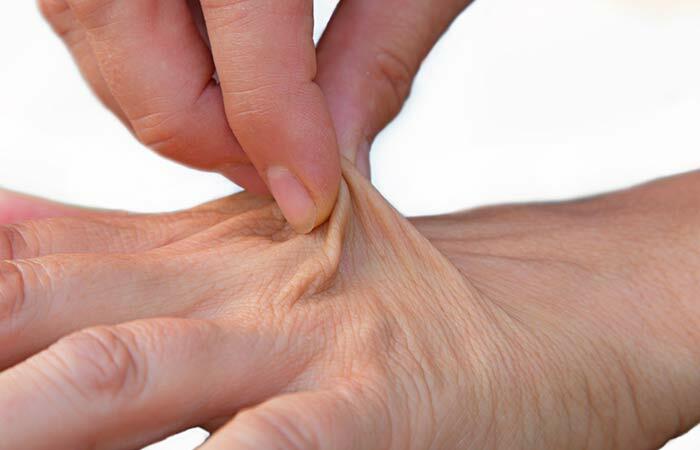 Dehydrated skin appears dry and shows all the signs that are similar to that of dry skin. 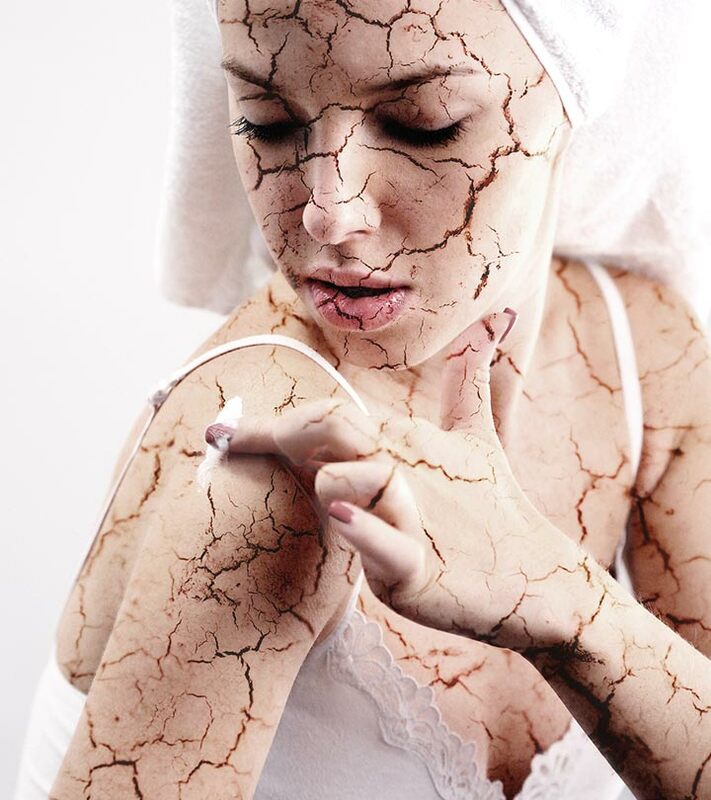 But unlike dry skin, dehydrated skin can cause severe skin issues that need medical attention. There are a few factors that differentiate dry and dehydrated skin. It is crucial to learn the basic differences between dry and dehydrated skin. 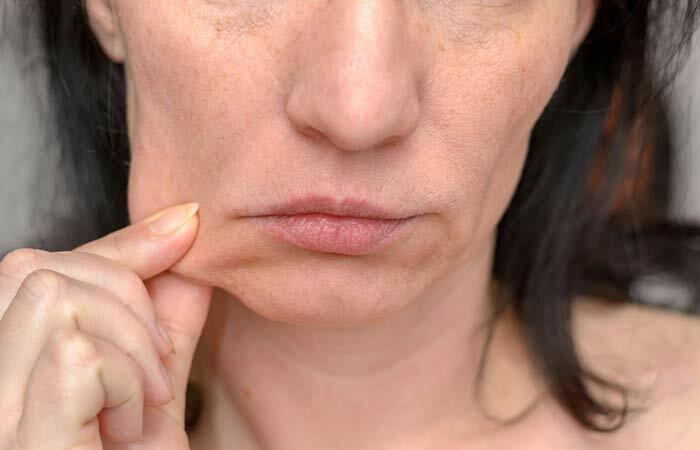 Both cause similar symptoms, such as peeling, flakiness, and discomfort. But the following infographic will give you an idea about the key differences. Looking at the specific signs and symptoms of dehydrated skin can give you more perspective on this. If this is the case, you should visit your doctor immediately. Dehydration can become a serious health issue if ignored. If you do not know whether your skin is dry or dehydrated, there’s a simple way to determine it. Pinch a small portion of the skin on your cheek. You may notice a few wrinkles. If it does not bounce back when you let it go, your skin is dehydrated. Hold the hand (on which you will perform the test) right above your chest. Using your other hand, pinch the nail bed until it turns completely white. See how many seconds it takes to normalize (or turn pink again). If you just realized that you are dehydrated, and your skin lacks the normal moisture levels, don’t panic. You can improve your dehydrated skin and make it glow again. How? Scroll down. Drink plenty of water. Talk to your doctor to determine how much amount is appropriate for you (as per your activity levels and body weight). It is also crucial not to drink too much water as it might cause loss of essential minerals from your body. Cut down on caffeine consumption. Reduce (or quit) alcohol consumption. Exercise regularly and sip water while you workout. Eat more vegetables, fruits, legumes, and plant-based foods. Apart from these lifestyle changes, follow these skin care tips to take care of your dehydrated skin. Dead skin cells, when accumulated, affect the rate at which your skin absorbs moisture. You need to exfoliate your skin at least twice a week to avoid the build-up of dead skin cells. We love microdermabrasions, such as Dermalinfusion or Hydrafacials, which gently exfoliate the skin while infusing serums in it. Before you put moisturizer on your skin, apply a serum. Get a serum with hyaluronic acid. Your skin naturally produces this acid, and replenishing it with serum is key to reduce dehydration. Dr.V’s Needle-Free serum is perfect for this. A heavy, oil-free, and non-comedogenic moisturizer prevents moisture loss. It will keep your skin moisturized and repair it while you sleep. Using the wrong products can worsen your dehydrated skin. Hence, ensure you pick the right product for your skin. Here’s a guide you can follow. 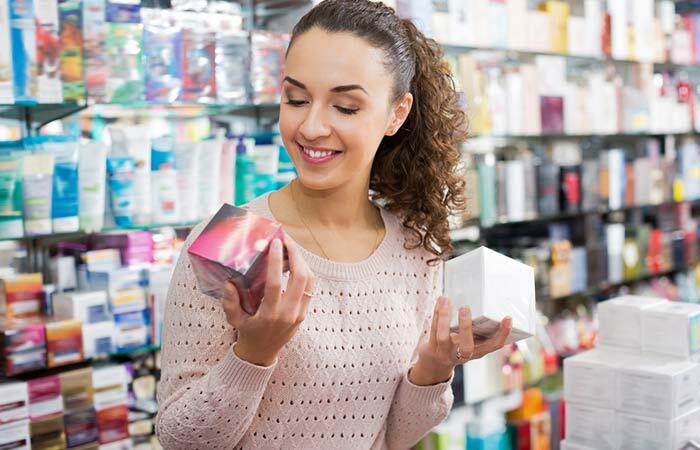 Avoid products with skin-aggravating ingredients such as peppermint, alcohol, menthol, and fragrances. These can dry out your skin further. Avoid using abrasive scrubs and cleansing brushes on your skin. These can damage the skin surface. Avoid using wrong combinations of products. Although ingredients like vitamin C, AHA and BHA exfoliants, and retinol are excellent for your skin, using these products every day can make your skin look more dehydrated. Use them moderately. Use serums and moisturizers that contain antioxidants. Always use mild cleansers on your face (preferably soap-free). Managing dehydrated skin is not an impossible task. Making a few adjustments in your lifestyle and skin care habits can end your ordeal. But despite taking all precautions, if your condition persists, do consult a dermatologist. How did you deal with dehydrated skin? Do you have any tips or pointers? Do share them with us in the comments section below. 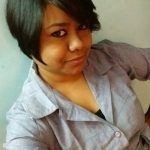 Squalane: How It Can Benefit Your Skin?